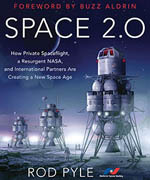 The National Space Society (NSS) is today reaffirming its longstanding and unwavering commitment to further space exploration and development, by calling on the Executive and Legislative branches to incorporate their various proposals into a Unified Space Policy so that the United States can once again begin to move beyond low Earth orbit. Congress and the Administration need to work together to determine the best path forward relative to our space program, including how best to leverage the necessary partnership between the public and private sectors relative to launch capabilities and how best to maintain a skilled work force. The NSS emphatically requests that the House of Representatives adopt the Senate version of the NASA Authorization Act of 2010. NSS believes that the Senates bipartisan NASA Authorization Act of 2010 represents the most promising of the options that have been proposed to date. The Senate bill provides a framework for compromise, which will be required in order to obtain the widespread political support necessary to pass and fund a set of programs that together will enable the United States to once again move beyond low Earth orbit. Significantly, the Senate bill seeks to make use of the work force and infrastructure made available by the imminent retirement of the Space Shuttle by speeding the development of a new Heavy Lift Vehicle (HLV), which the bill specifies should be in service by 2016. The Senate bill tasks NASA with developing and building an evolvable system which can incorporate emerging technological advances, and also demands that NASA and Congress work together to accomplish this task within a specific, affordable, and sustainable budget. In addition, the bill also preserves the primary initiatives included in the Administration’s budget proposal, such as support for using commercial providers to transport cargo and crew to and from the International Space Station, funding for technology development programs, and a firm commitment to science. Indeed, the Senate bill specifically authorizes development of in-space capabilities such as refueling and storage technology, orbital transfer systems, innovative in-space propulsion technology, communications, and data management. Although the amounts allocated in the Senate bill for commercial crew and technology development are less than the amounts proposed by the Administration, they still represent a significant increase in funding for and commitment to both commercial space and technology development. Heavy Lift Vehicle: As set forth in the Senate bill, the selection and development of a new Heavy Lift Vehicle (HLV) must begin in the very near term. NSS maintains that development should commence no later than the 2011 date set forth in the Senate bill. The missions that the new HLV will be slated to accomplish must be identified and sufficient funding must be provided to achieve those missions. The design of the vehicle should be mission-enabling, while at the same time being focused on efficiency, affordability, and sustainability. 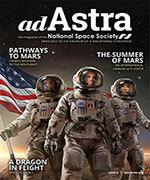 Commercial: The new commercial launch industry must be supported. Successful development of such an industry can not only dramatically reduce the cost of launch but can also enable NASA to focus its resources beyond low Earth orbit. In addition to creating a new major industry for the 21st century, embracing commercial options can help to create a new fiscal culture at NASA. Technology Review: NSS supports the focus on research and development of new enabling technologies, such as advanced propulsion. However, to keep such technology development programs focused, NSS calls on NASA to define and prioritize the most promising technology concepts to advance human space exploration. Timelines and Destinations: NSS believes that the Congress and the Administration need to establish firm timelines and destinations. NSS believes that we should set a goal to send humans to at least one intermediate destination beyond low Earth orbit, such as an asteroid, within the next ten years and to land humans on Mars by no later than 2030. By doing this, we will gain valuable knowledge and keep the country, and our skilled workforce, fully engaged in the program. If it is to succeed, this new path will require a sustained, generational commitment to NASA’s long-term mission. It will also require incentives for private sector and international participation. NSS acknowledges the financial constraints under which the U.S. government will be operating in the next few years. Tax dollars should be spent wisely, which is why we are making these requests. The National Space Society looks forward to working with Congress, NASA, and the Administration to guarantee that the United States remains a leader in space exploration.